In a recently submitted paper, scientists at the Korea Advanced Institutes of Science and Technology detail a bacteria-spotting laser that food processing plants can use to target consumables that might make people sick. 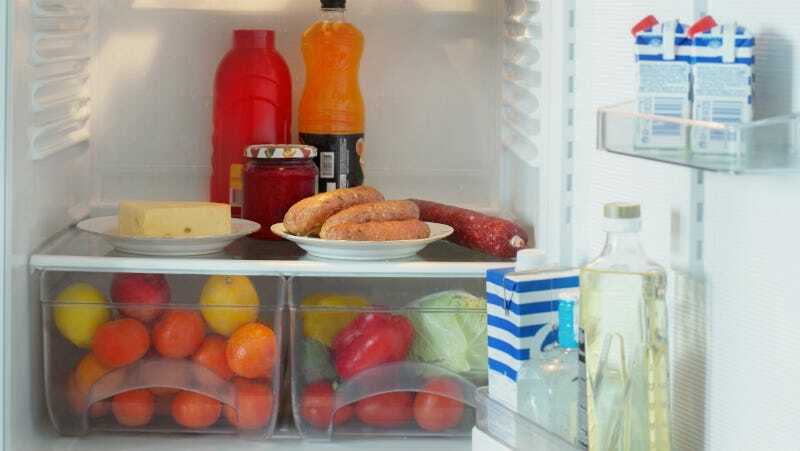 The researchers note that the device could even fit inside your home refrigerator one day. Here’s how it works: A red laser beam scans for bacteria that might be laying siege to perishables. The laser detects the movement of living microorganisms skating all over last night’s meatloaf. The bacteria’s movement causes the laser beam’s light to scatter, creating a detectable change in light patterns, which can be captured and processed within seconds by a camera. MIT Technology Review points out that right now methods for detecting foodborne bacteria include mass spectrometry and microbiological culturing, which are both complicated and pricey. This laser is cheaper and requires no specialized training to use. Even better? It works through plastic wrap, which doesn’t disrupt the laser’s readings. Further, it can also be used from a distance, preventing workers at a plant from touching or even coming near contaminated food. For now, the laser remains a prototype in development. Next, researchers will have to figure out a way to use the laser to spot bacteria or viruses whose movement doesn’t cause changes in light patterns—like norovirus, which was responsible for the recent troubles at Chipotle. One step at a time towards stopping mad dashes to the toilet.